The 5th generation version of the famous BMW 5-series sedan. 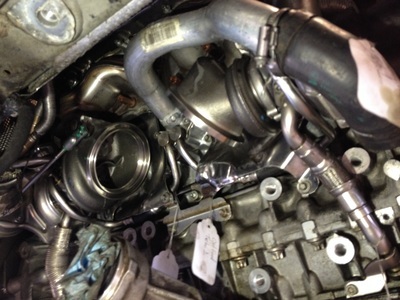 This particular vehicle was the four-wheel drive, 3.0l N54 twin-turbo variant. 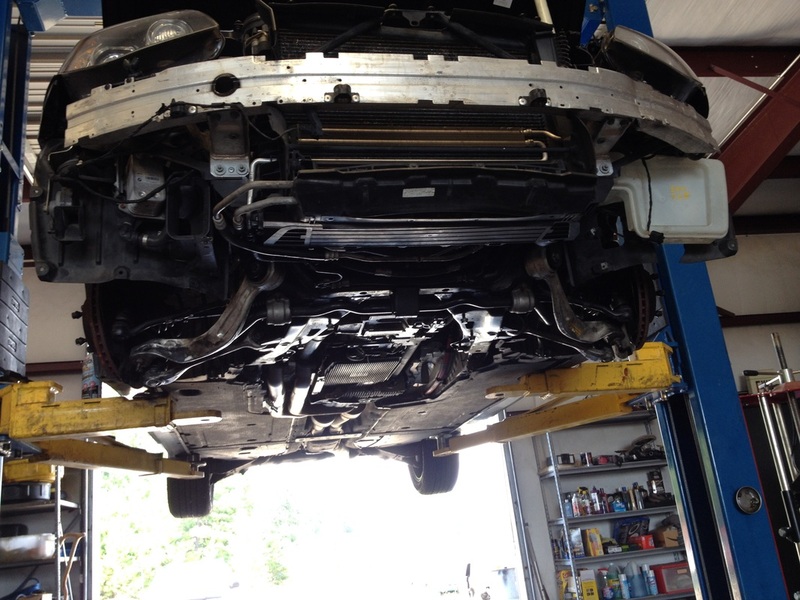 The 535Xi. 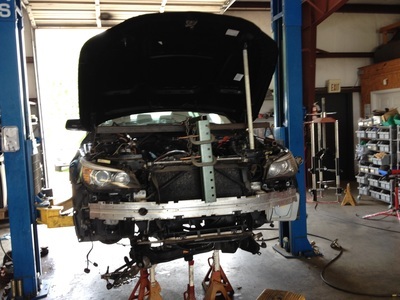 It arrived with very poor running behavior, thick blue smoke from the exhaust, the check engine light illuminated, and other problems. 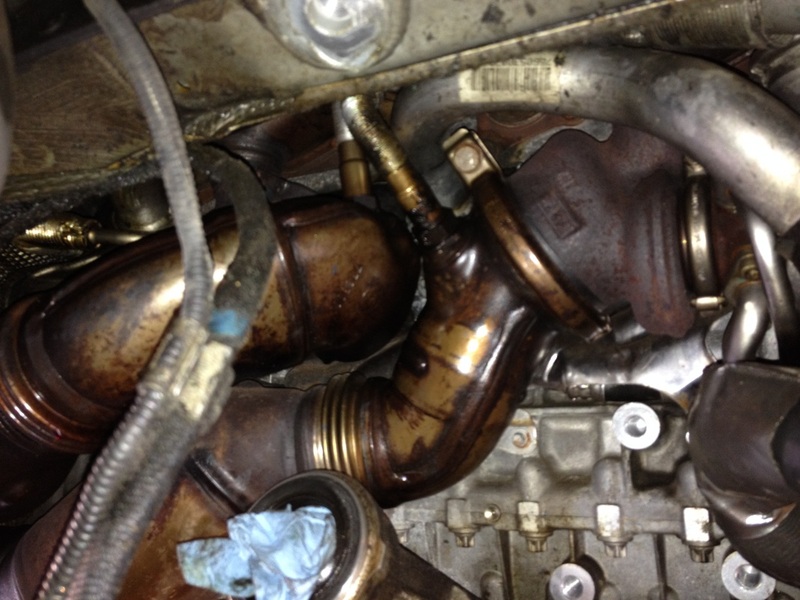 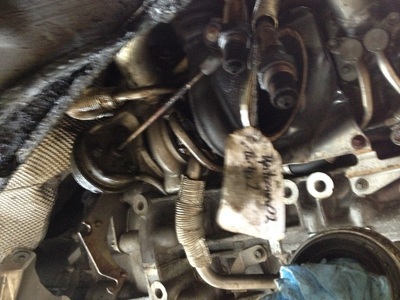 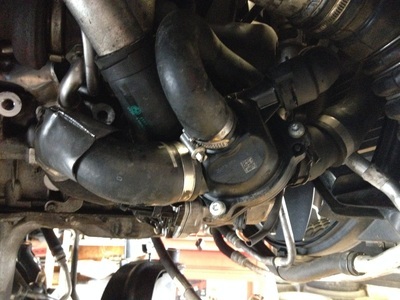 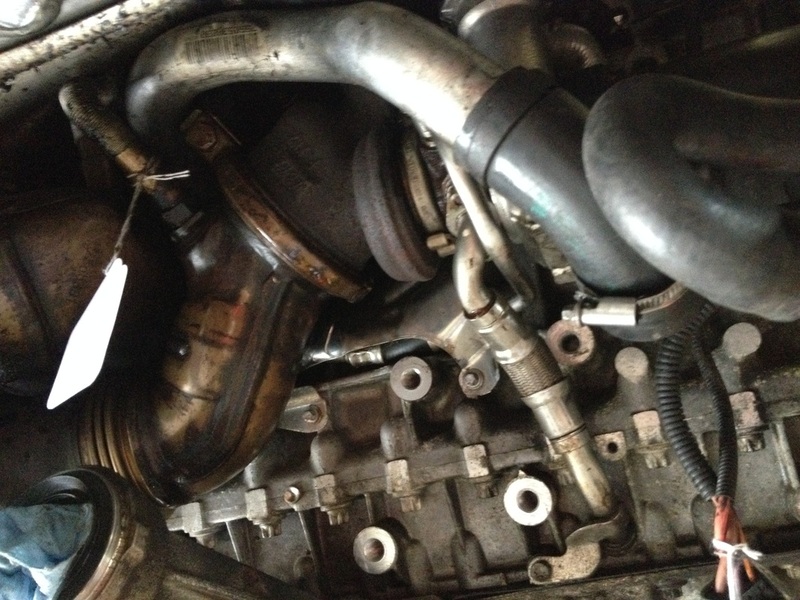 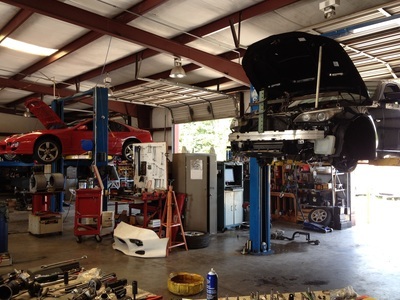 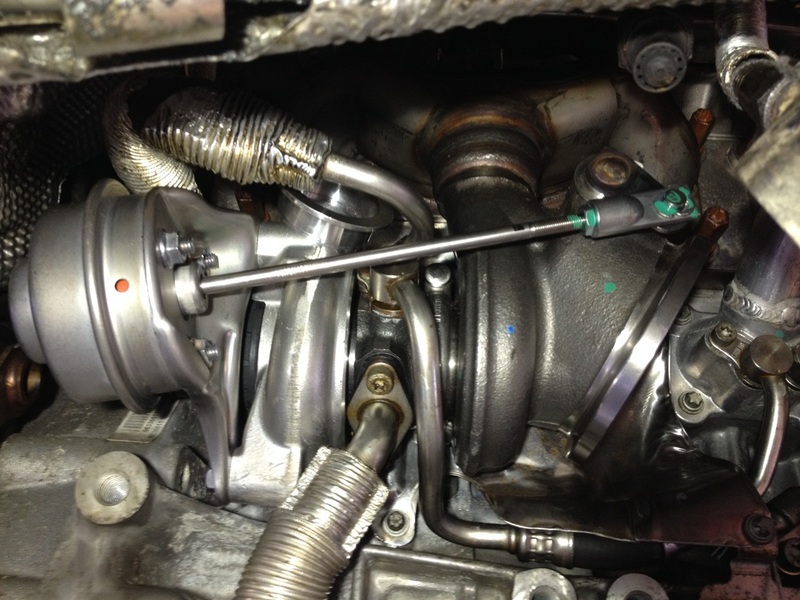 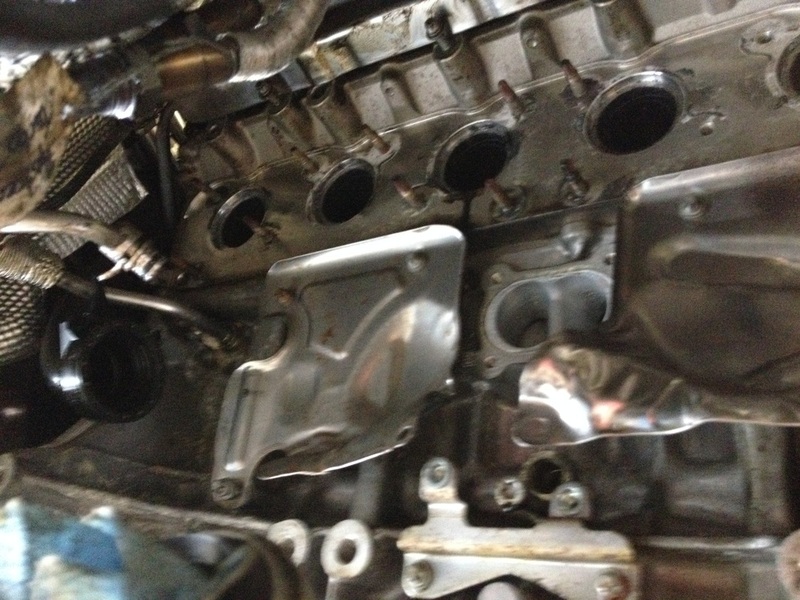 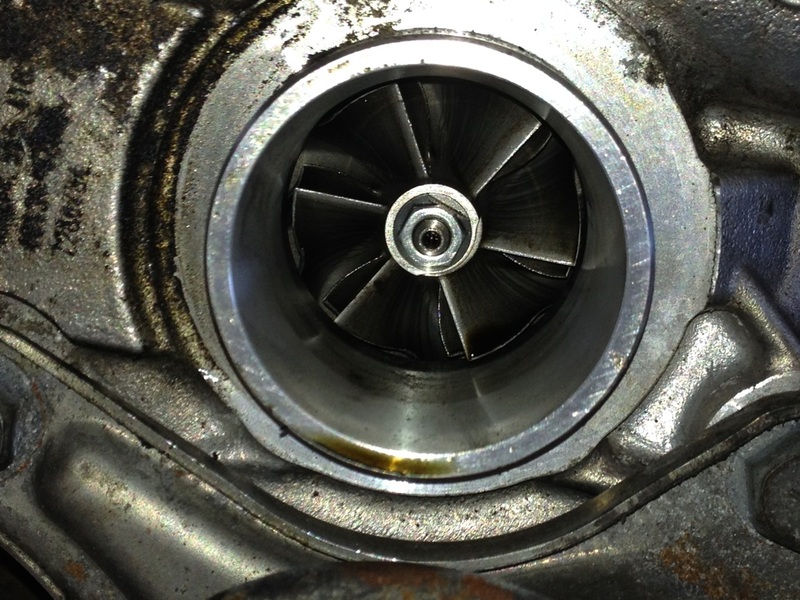 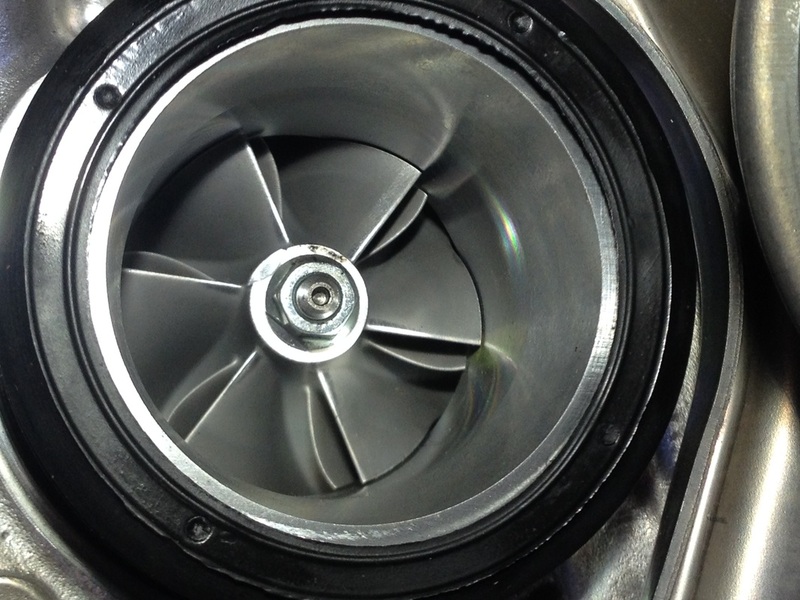 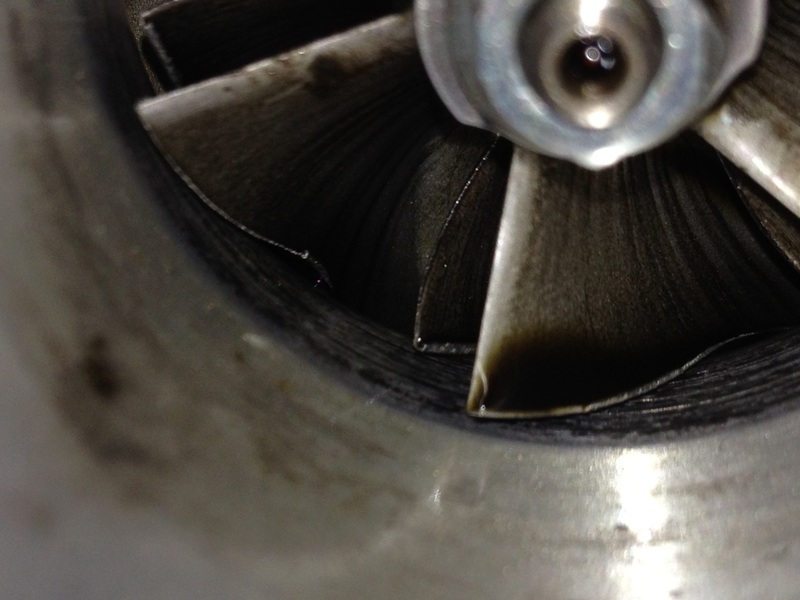 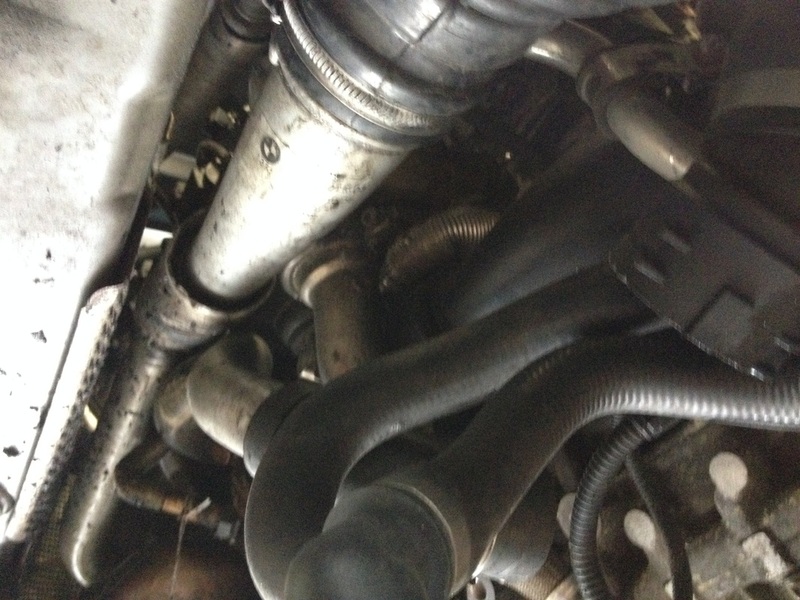 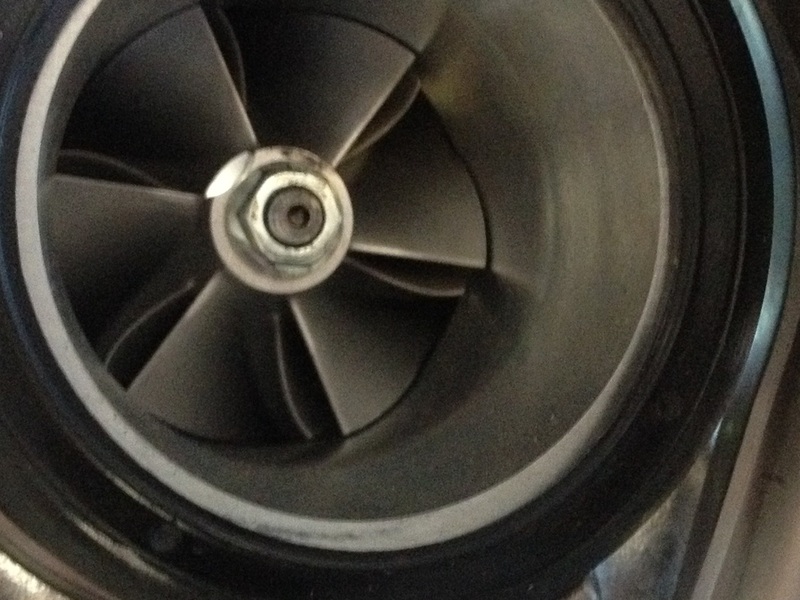 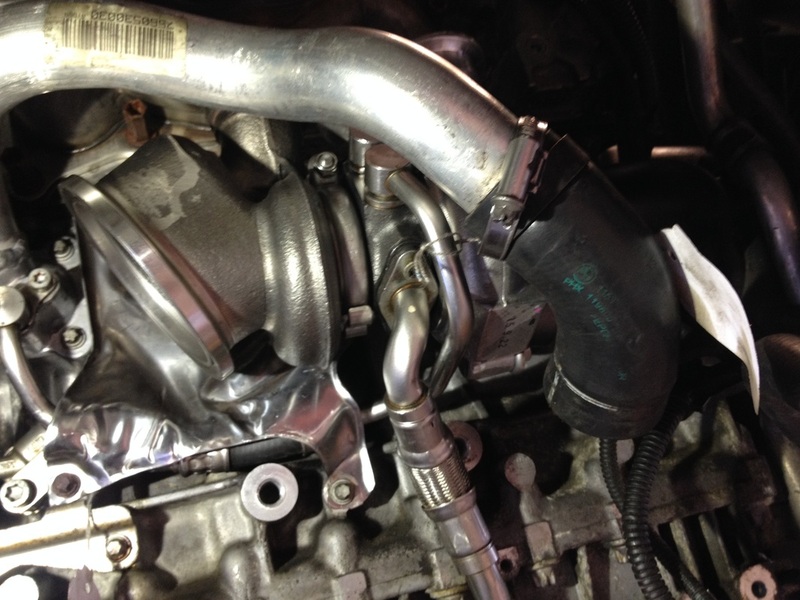 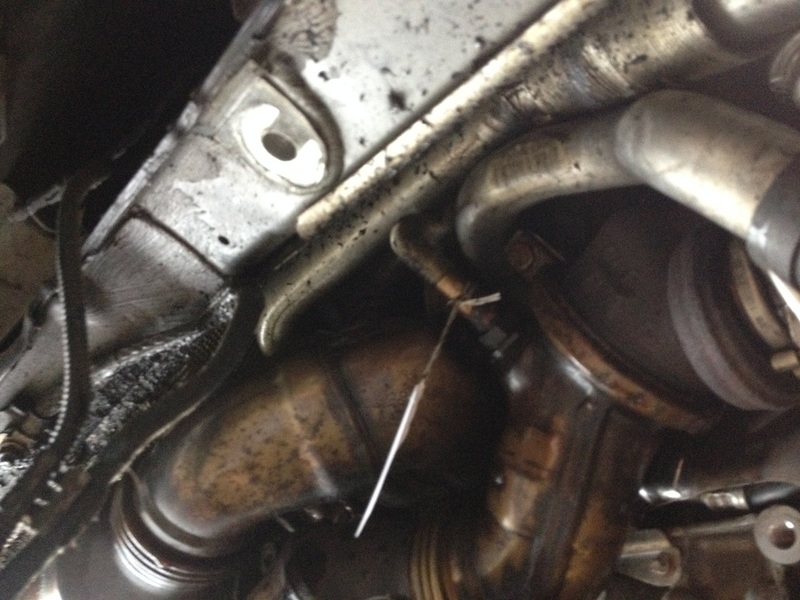 Investigation and diagnostic testing found that intake tract into the motor was badly contaminated with engine oil. 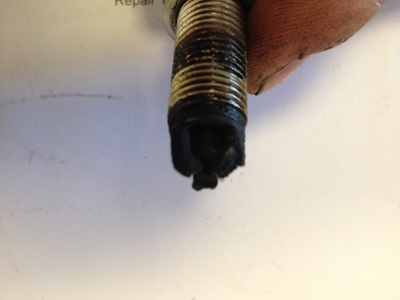 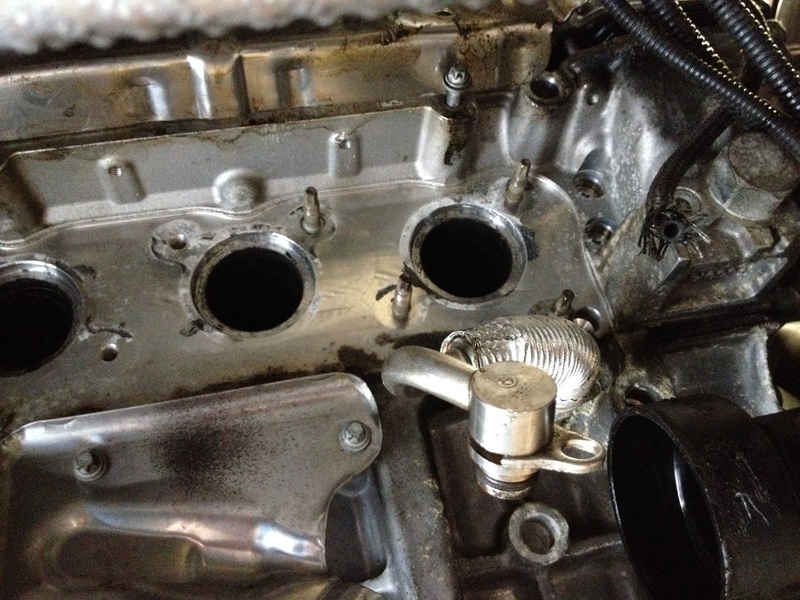 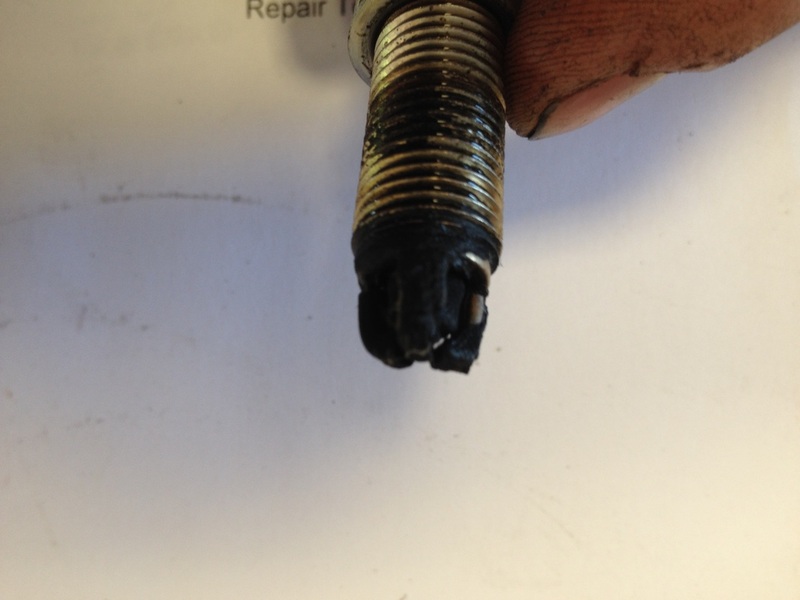 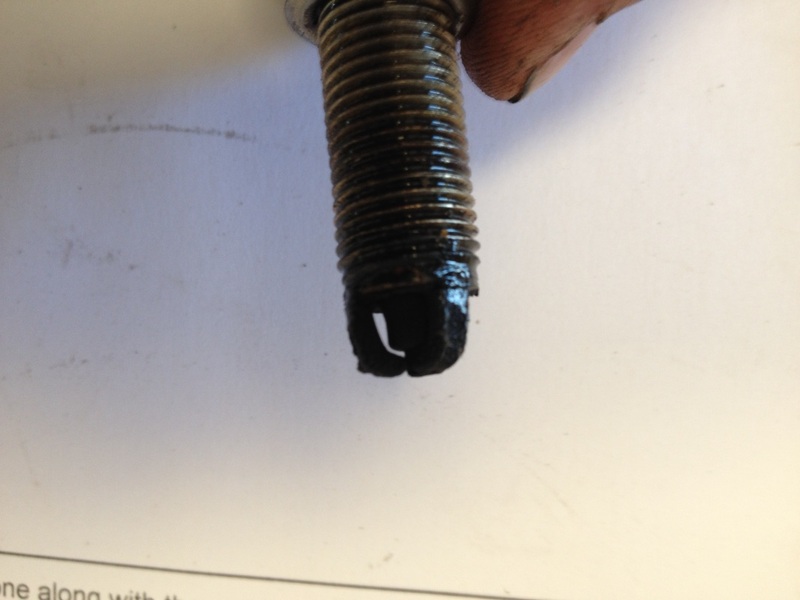 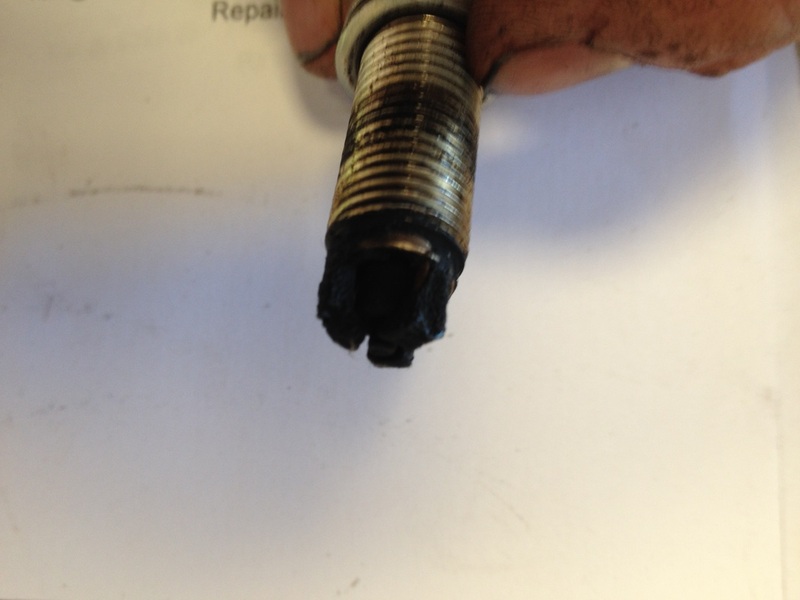 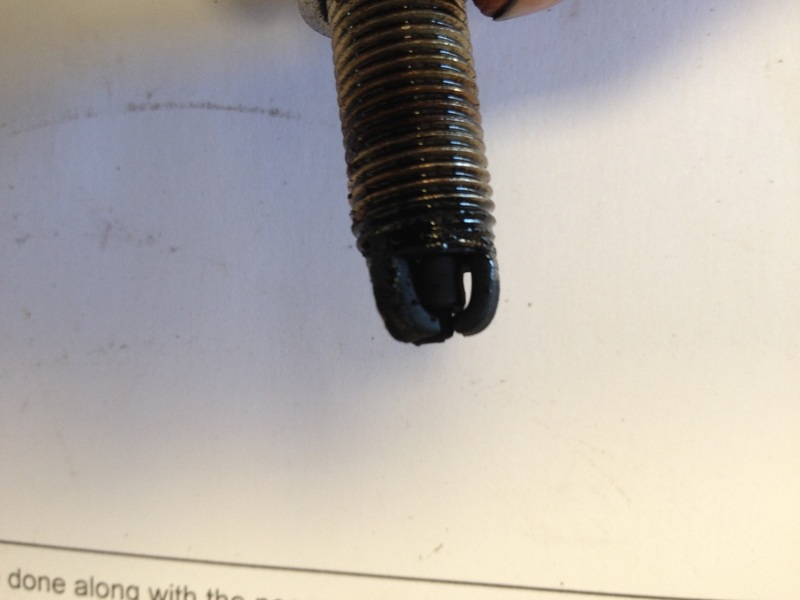 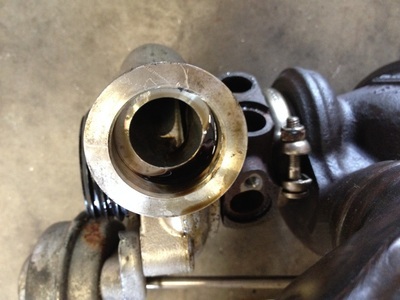 The oil entering into the combustion process through the intake was quickly damaging the spark plugs. This explained the poor running and blue smoke from the exhaust. 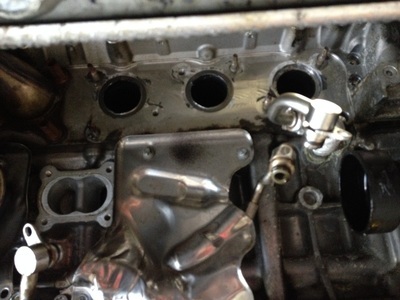 Those two issues resulted in the engine lights. 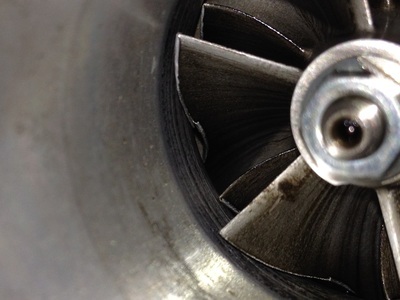 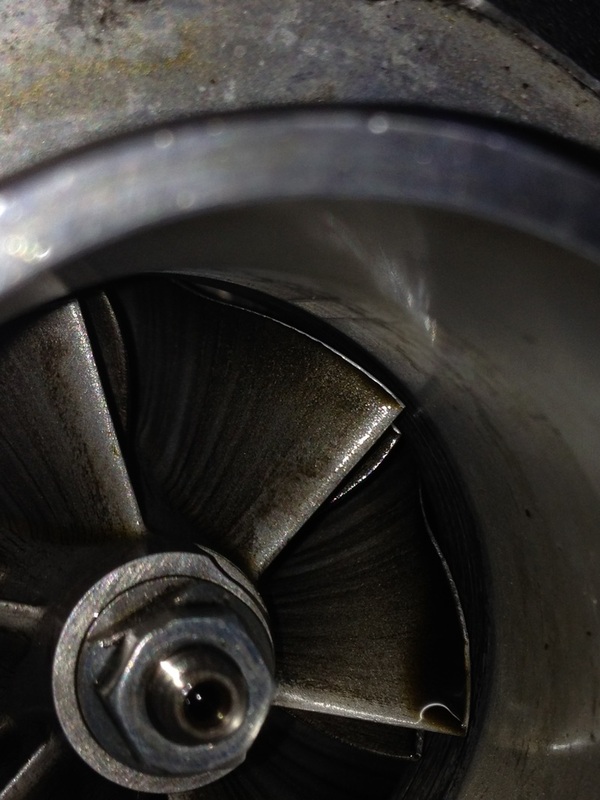 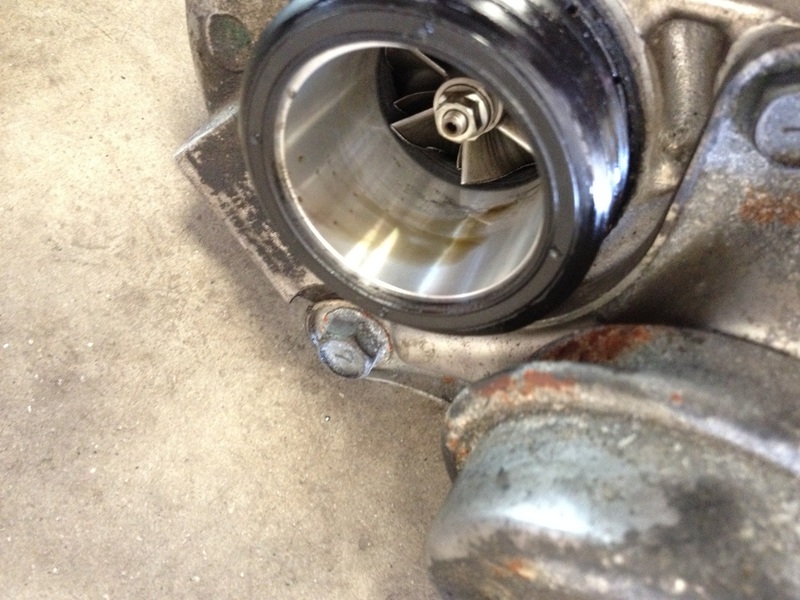 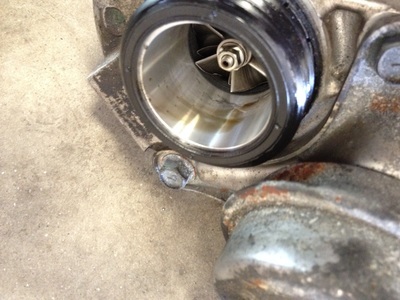 Several things on this vehicle can cause oil to enter into the combustion process in this manner, but the diagnosis narrowed the problem down to a failure of the turbos. 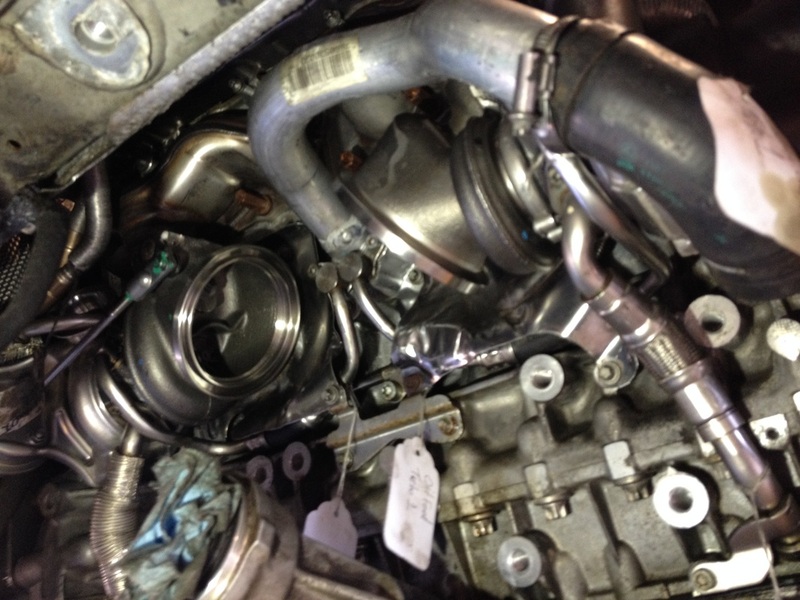 Replacing the turbos and manifolds on this vehicle is an involved process, as the inline 6-cylinder engine is leaned over in the engine bay. This means access to the exhaust side of the engine is restricted. 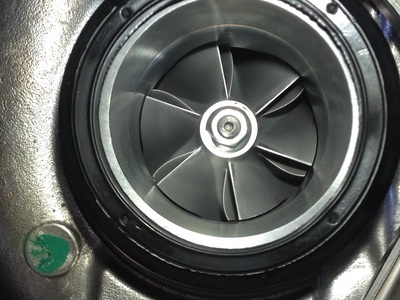 On top of that, the four-wheel drive layout means there are additional components that block access to the turbos that would not be there on the two-wheel drive layout.